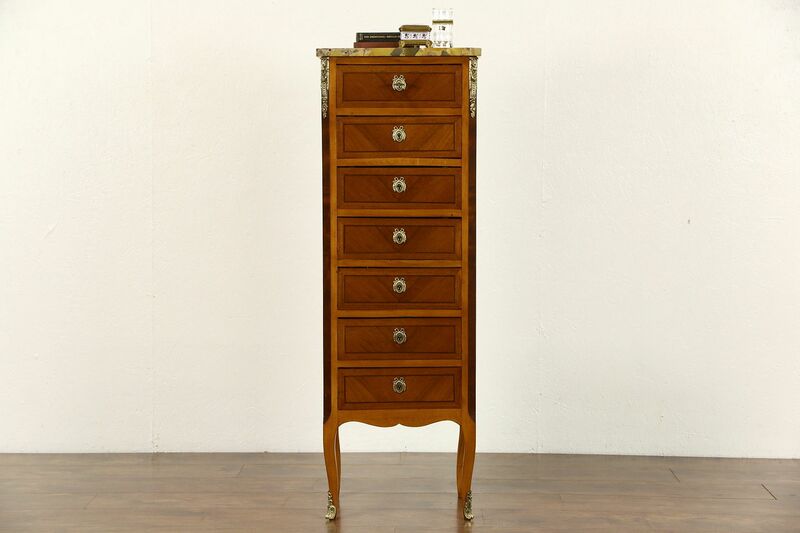 A genuine French "semainier" or lingerie chest with a drawer for each day of the week dates from about 1920. Banded mahogany with walnut inlay has an excellent renewed finish on this antique furniture. Original mounts have embossed heads. Drawers have working locks and dovetailed joints. The marble top has been polished and sealed to resist stains. Measurements are 17" wide, 13" deep and 48 1/2" tall.